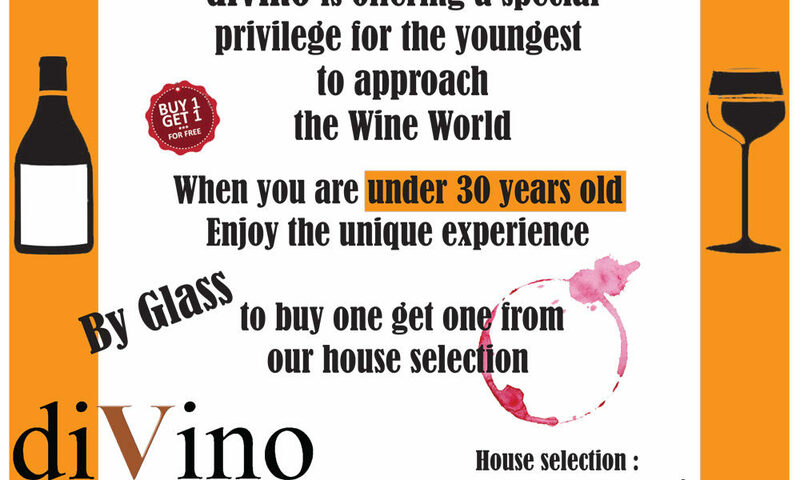 Are you under 30 years old and willing to start a journey through the world of great wines? 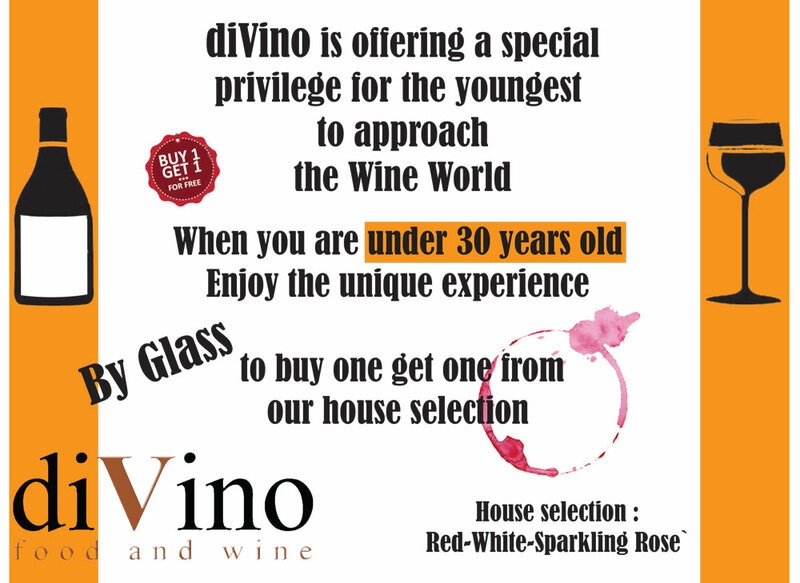 We’ve got an offer just for you! At diVino, choose a label from our Red, White or Sparkling Rose’ wines, and get another one for free! Make sure to mention your tastes and we will suggest the best ones for you. Check our Wine List for some inspiration!